Welcome to RolexMagazine.com...Home of Jake's Rolex World Magazine..Optimized for iPad and iPhone: More Rolex Milgauss Love!!! I’m an Italian fan of your blog and I visit it every day. I’m worried about my GV Milgauss. When I bought it, I was very happy, but today I see (maybe I’m wrong) that the Milgauss doesn’t receive any words from you and from the specialized reviews. I'm from Denmark, but I live in London today, and I just love your blog and the fascinating stories you publish! 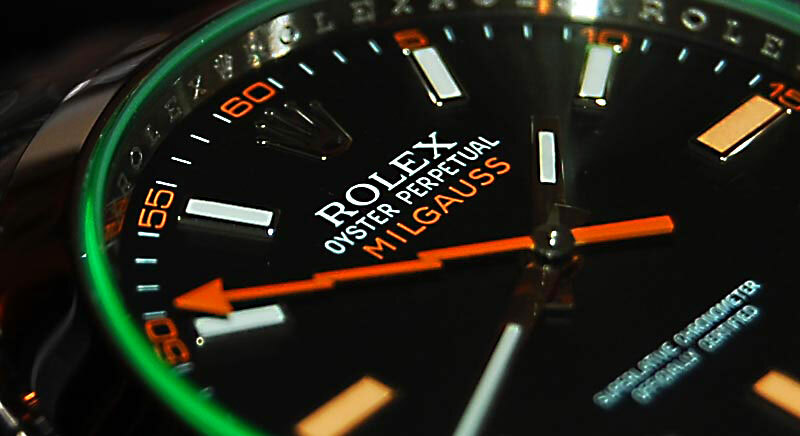 Recently, a fellow reader of Jake's Rolex World, Tommy, dropped you a note saying he was worried about the lack of attention the Rolex Milgauss gets. Here in London you see them every day! It's only 9am and I've already seen two! Anyway, I've attached a shot of my GV for the GV Picture thread. Keep up the great work my friend! Alright Tommy and Anders, I just updated the GV Picture Thread by adding a bunch of Daniel Craig (James Bond) photos of him wearing his GV Milgauss!! !